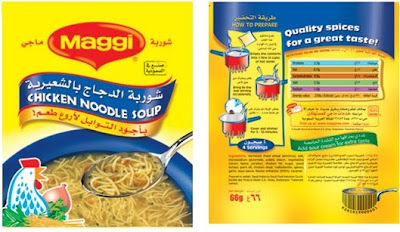 COMPACT is approved to supply Nestlé manufacturing plants worldwide with bouillon cube wrap, soup sachets, sachet packaging, and milk powder bags. Composite film manufacturer, Napco Composite Packaging Technology Ltd. (COMPACT) has successfully comformed to ethical, social and environmental standards of Nestlé's Supplier Code audit. As part of its responsible sourcing program, Nestlé audits and selects the best suppliers that meet its corporate business principles and adhere to its standards. This audit allows Nestlé to identify any potential gaps in the supplier operations and work closely with it to develop corrective actions to fill these gaps. In addition to quality, which is of paramount importance to select suppliers, Nestlé's audit scrutinizes business integrity, sustainable production, labor standards, including child labor, discrimination and work hours, occupational safety and health, including the quality and safety of supplied products, and environmental management and performance. COMPACT, based in Dammam, Saudi Arabia, manufactures a range of composite and sealant films for food and beverage packaging . COMPACT is a Napco company and member of INDEVCO Flexible Packaging, a division of INDEVCO Group.